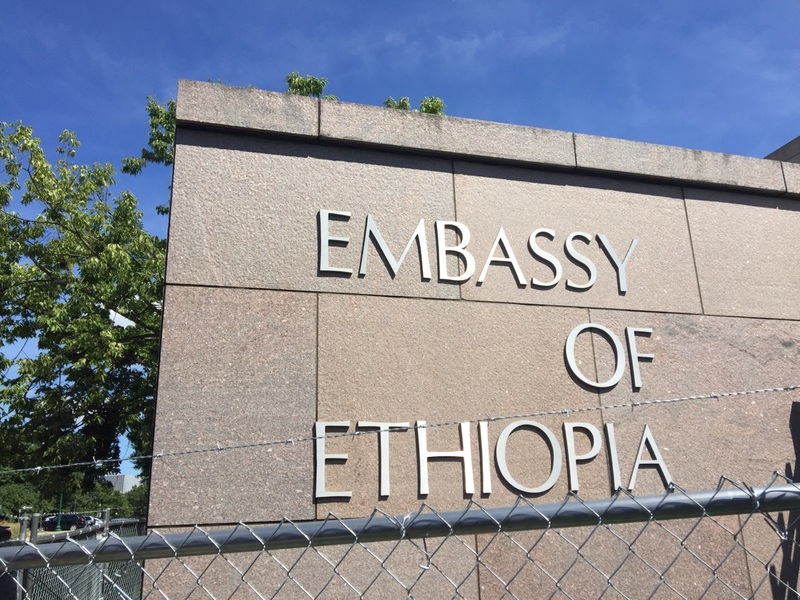 New York (TADIAS) — The Ethiopian Embassy in Washington D.C. held a press conference yesterday evening to provide more details on the PM Abiy Ahmed’s upcoming visit to Washington D.C. on July 28th, 2018. The press conference was shared live on a newly launched official Facebook page (PM Abiy in DC #መደመር) designed to promote this event. PM Abiy will greet Ethiopians at a free event hosted at the Walter E. Washington Convention Center in Washington D.C. on Saturday, July 28th, 2018. There is no registration or payment requirement for the event. Red/Green Line: Gallery Place-Chinatown wmata.com for weekend schedule. It is recommended to use public transportation to arrive to the convention for this event. There are over 3,000 parking spaces in a three-block radius of the facility. These spaces are available on a first come, first serve basis. Close to 500 volunteers in uniform will be assisting attendees with entrance into the venue. Three volunteer cab companies will be transporting attendees from various locations to the venue. Please pay attention for marked taxi vehicles. It is highly recommended that attendees do not bring large bags or metal objects. Everyone is subject to security protocol and metal detector screening. In addition, it was advised at the press conference that event participants refrain from bringing their children to the convention center. In addition to the public event at the Walter E. Convention Center a smaller town hall event comprising of 1,500 individuals represented from various sectors and civic organizations have been invited to meet with PM Abiy Ahmed during his visit to Washington D.C.
PM Abiy Ahmed also plans to take part in the peace process event to be held among the exiled synod of the Ethiopian Orthodox Tewahido Church and the synods in Addis Ababa during his visit to Washington DC. Following the Washington DC event PM Abiy Ahmed will travel to Los Angeles, CA on July 29th and Minneapolis, MN on July 30th to meet with members of the Ethiopian community. The Minneapolis event is scheduled to be hosted at the Target Center (600 N 1st Ave. Minneapolis, MN 55403).